Both of these are not ready to be merged, but if you watch the comments and commits there's some really interesting stuff going on. Figured I would share! I'm already subscribed to the shadows PR, so I get an email every time the something happens there. But I never told anyone about this, so great share raevol! Things like shadows (and the fog shader) are what I am paying attention to myself. One of the biggest reasons people are not using OpenMW is because they can't use MGEXE to prettify their Morrowind with shaders. I'm sure raevol is getting sick and tired having to tell the Morrowind subreddit that shadows aren't in yet, and I bet that AnyOldName3's work will be a welcome relief. Developers love to plan out their development strategy and work according to that. As a developer myself I understand that necessity, but players really don't care - they want prettiness. It's the whole reason Skywind is being taken seriously. 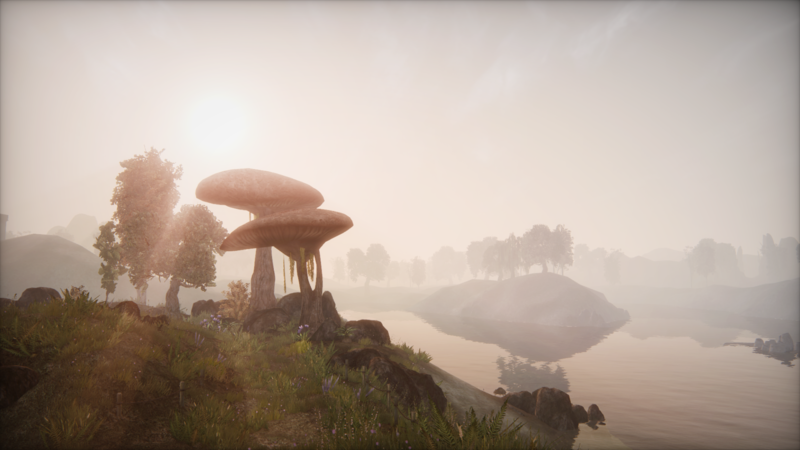 Not because they make a better way to play Morrowind, but because they show off pretty pictures. Remember that Skywind character who proposed that OpenMW "could do a bit of smoke and mirrors and setup scenes of "potential" future graphics"? Frankly, that frustrates me, because all the effort and attention that goes into Skywind - a mod for a proprietary, closed-source engine that requires injections and dirty hacks to do what needs to be done, and then not even all that well - would be better directed at OpenMW - an open-source engine that has infinite potential, including but not limited to fantastic graphical mods, overhauled combat systems and, in the far future, running Oblivion and Skyrim with the foundation that cc9ii has been laying. For that we need hype, but there is so little for the "common gamer" to drool over. Distant land helped, and the sooner those other "shallow" things like shaders and such are completed, the sooner OpenMW will get a large following and the more developers will start contributing to things that really matter like bugfixing and dehardcoding. If someone cares, as our shaders are shipped as GLSL source in separate files instead of HLSL bytecode embedded into the application itself, most shader mods can literally just get made and then work. The exception is post-processing effects, as we haven't yet got a nice system for that. One was proposed and worked really well for one effect, but once you wanted two, it only did one of them at a time. If you are looking to PR to watch, you can check out the Weapon Sheathing feature. One of the biggest reasons people are not using OpenMW is because they can't use MGEXE to prettify their Morrowind with shaders. Bingo, unfortunately. But to be honest, very understandably. The day we have shadows, distant statics, and grass generation will be a happy day indeed. Those are the only things left I can think of that would put us on major feature parity with MGEXE. I'm sure there are other things, but those are what 80% of people care about. Lots of people complain incessantly about the lack of MGSE mod support, but I think most people will get over that once people see what they can do with our editor instead. Most vanilla mods are just not high quality enough to inspire me to keep using them. I don't think the viral sidebar uses context to decide what to display, so quite the coincidence. Huh, that's pretty interesting. I might get quite a bit of use out of that. Ooo, this one slipped past me. Very interesting!